There was a fair bit of interation between the Cardiff support at Reading last week and the former Leeds defender who knows what it's like to face FA Cup haertbreak at Ninian Park. Duberry had the last laugh on Boxing Day as his header was blocked on the line only for keeper Adam Federici to score a dramatic last kick equaliser. He insisted: "I went to all corners of the ground as I usually do. I turned to our fans but obviously Cardiff had that whole end so, bar walking sideways, there was nothing else I could do. "I faced my fans but in the same way Cardiff gave me banter, and if you give it you have to take it. But it wasn't aimed at riling them. "I celebrated in triumph. I've got to be allowed to celebrate with my fans, they supported me for the whole 90 minutes. 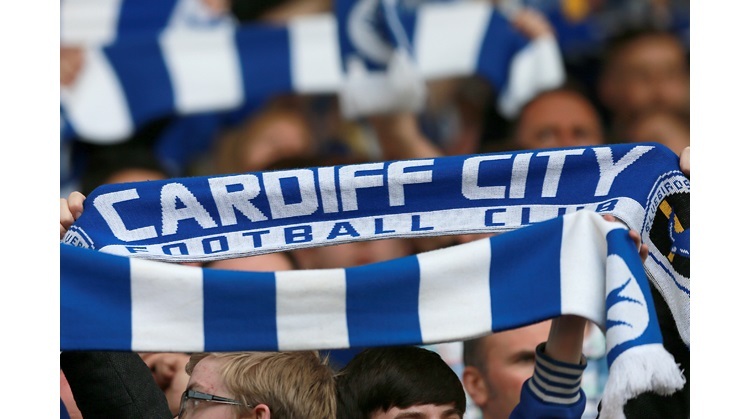 So if Cardiff fans took it as an offensive gesture they're got to look at themselves." He revealed how he enjoys the banter wiuth the crowd. "I think it's brilliant," he declared. "The chanting on the terraces, that's just football. It helped me because I was up for a battle. "They were giving me stick when they scored so I was glad we got the equaliser because it quietened them down. But that's all part of football. As long as it isn't racial abuse it's all good. "I've sampled it before from the Cardiff fans when I was at Leeds but most players just get on with it. I could hear them chanting my name but it didn't bother me. My kids asked me what they were saying so I told them they were saying they like me. Again, as long as it's not racial, let them sing their songs. "We saw the police cleaning things up afterward and you don't want to see those things go on," he explained. "Enjoy yourselves, sing your chants and have a good day out. "But nobody wants to see that. It just gives football fans a bad name even though most of them are not like that. The minority are spoiling it for the majority. I hope those who spoiled it and made trouble get the punishment that's coming to them." Duberry was in the Leeds Utd side that came to Ninian Park in January 2002 as Premier League leaders, Cardiff were in Division 3 (in old money) and caused one of the great cup upsets by winning 2 - 1. "Sam Hammam was the Cardiff chairman and he was geeing them up." Dubery recalls. "It was a big game for them against Premiership opposition and they won. The usual thing happened and the fans rushed onto the pitch. "None of them actually attacked the players, they just rushed on and that was it. But there was a safety matter for us because we didn't know what was going to happen. "It looked worse that what it was. I think they were just happy and wanted to get to their own players. But safety-wise, it wasn't good for Leeds United." If he plays tomorrow he'll be the one player that City fans will focus on.